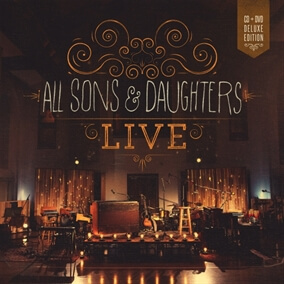 Download MultiTracks from From All Sons & Daughters new recording "Live"
Following four critically acclaimed projects, duo All Sons & Daughters released their first full-length live recording, "Live," from Integrity Music. The CD/DVD was recorded in the chapel at Oceanway Studios in Nashville, TN and features Leslie Jordan and David Leonard singing well-known songs "All The Poor and Powerless" and "Reason to Sing," as well as two new songs, all delivered in a congregationally-friendly, organic worship setting. This album debuts a new song "Great Are You Lord," which is sure to be a favorite. The song was written to be a reminder that our acts of worship originate from the One that we worship.